BioGaia Prodentis drops is a food supplement containing the patented lactic acid bacterium Lactobacillus reuteri Prodentis (L. reuteri DSM 17938 and L. reuteri ATCC PTA 5289) that helps the good microorganisms keep a natural balance in the mouth. Turn bottle to a 45° angle and pour 5 drops in a dappen dish. Use a curette and/or a non-invasive application syringe to distribute the oil in the dental pockets. Max 5 drops per pocket. Storage: Keep refrigerated (2–8 °C). Opened container should be used within 3 months. Keep the container closed. Avoid contact with water. Packed in a protective atmosphere. Keep out of reach of children. Sunflower oil, medium chain triglyceride oil (palm kernel), L. reuteri DSM 17938 and L. reuteri ATCC PTA 5289. 5 drops consists of a minimum of 200 million live L. reuteri Prodentis. Food supplement should not be used as a substitute for a varied diet. 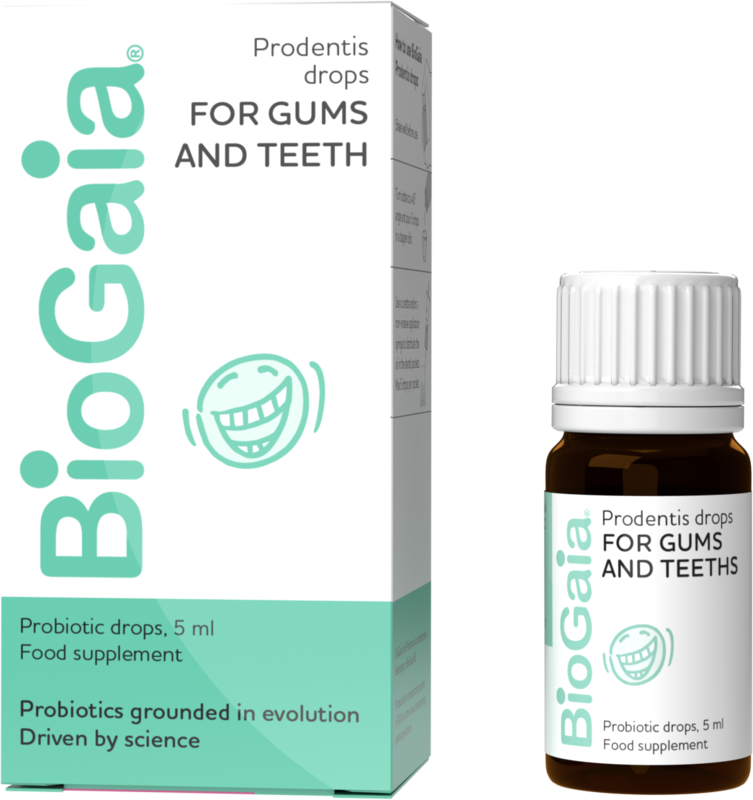 BioGaia Prodentis drops should be applied by a dentist or dental hygienist at the dental clinic. Distribute max 5 drops in each dental pocket.